Bingo is a fun and an entertaining game we all love to play. Some enjoy playing at the local bingo halls while some of us love playing bingo online. So, for all those who love playing online bingo, here are few essential things to keep in mind before getting started with the game. As rewarding as the game is, one must always remember to play bingo for fun and not get affected by any kind of loss that may occur. Bingo is a fun way to pass time and spend leisure hours interestingly. 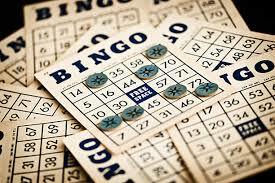 So, as a player, you must watch out your spending and look out for other free ways to play bingo and have fun. If you plan to be a regular player at any bingo site, you must learn the bingo lingo. When you are playing bingo online, you will see other players using certain abbreviated words that you might find difficult to crack. So, best to spend some time in learning the lingo. Whichever site you’re playing at, don’t forget to check out the site’s social media page where you can stay up-to-date with the latest promos and games on the site from time to time. Every bingo site is filled with variety of games which includes popular slots and casino games. Trying new games will not just keep you engaged but also help you get away with boredom.